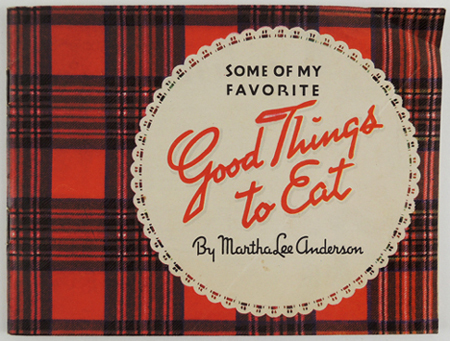 I’m currently working on a big special collections project (it’ll be ready to roll in a few months, and you’re going to love it – stay tuned!). Today’s post, however, is about another set of items that are inadvertently crossing my path during my adventures in collections acquisitions. 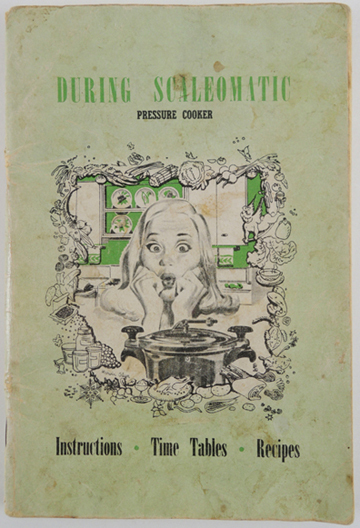 Specifically, hilarious historic cooking pamphlets. 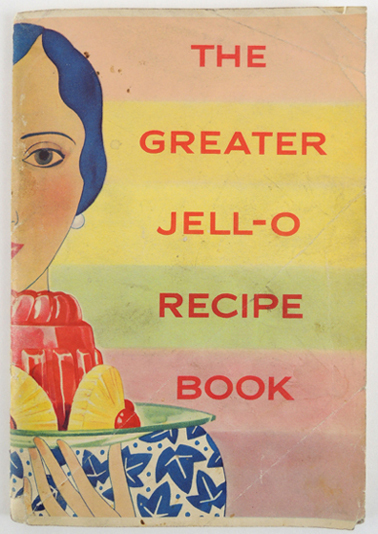 Like The Greater Jell-O Recipe Book. 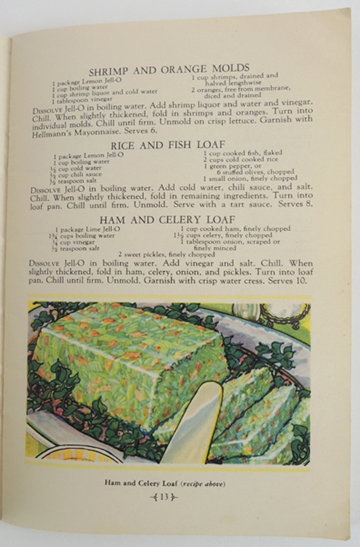 Because who doesn’t want to whip up a gelatinous Ham and Celery Loaf? Mmmmmmm. I bought this for my personal collection. 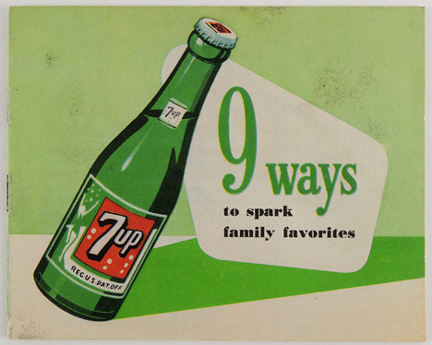 It’s a little 7up recipe pamphlet. 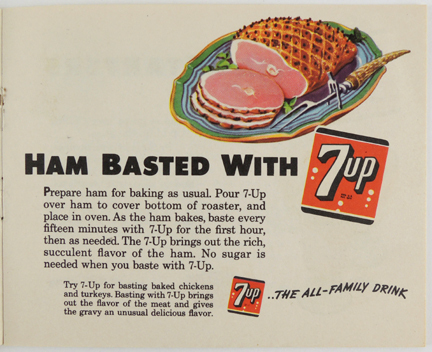 With a recipe for ham basted with 7up. Or hey! 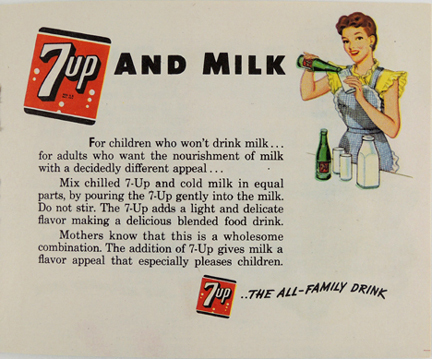 7up with milk for the kiddies??? 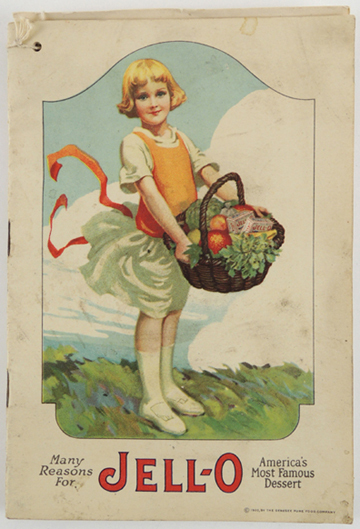 As it turns out, Katie also had a small horde of these pamphlets, and we started rifling through them with gusto. Check out the During Scalomatic instructions. Honestly, I’m not sure if the woman’s expression on this is excitement or horror. 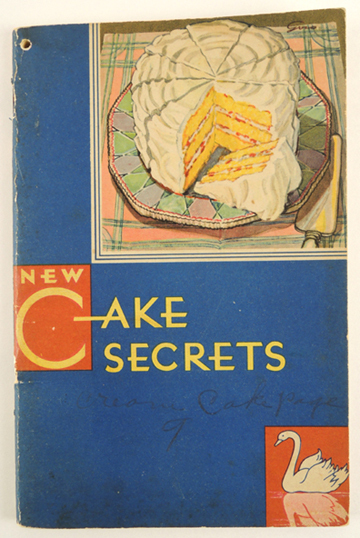 Or how about New Cake Secrets? Because everyone already knows the old cake secrets. Here’s one of Katie’s favorites. 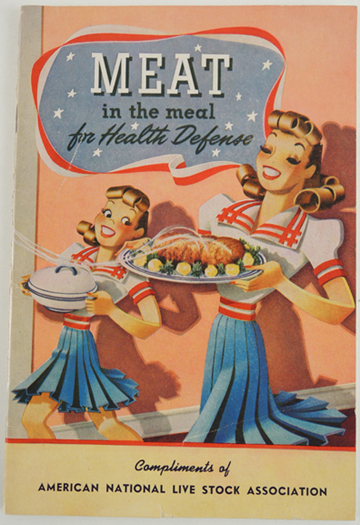 Both for the title and the illustration. Those are some FIERCE skirt pleats. Apparently part of the standard uniform in Health Defense. 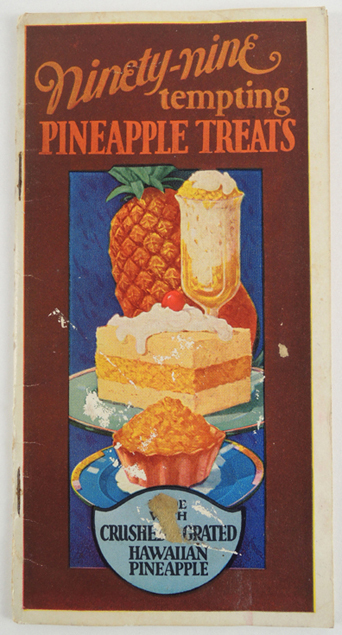 And just in case you are needing 99 tempting pineapple treats…I wonder…did the 100th recipe not quite meet the “tempting” threshold…? 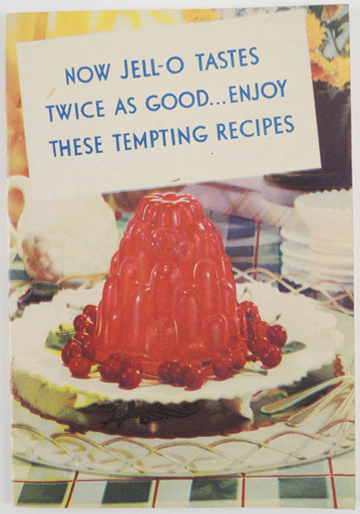 There were quite a number of Jell-O pamphlets. Here’s the “Mordor” of Jell-O towers. 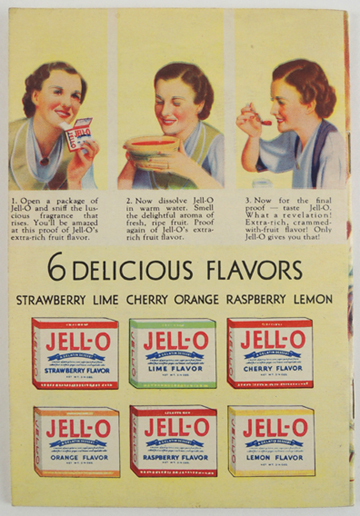 One the back cover, instructions to delicately inhale the bouquet of your freshly opened box of Jell-O. Which I never thought to do, honestly. But now I’m totally going to try it. 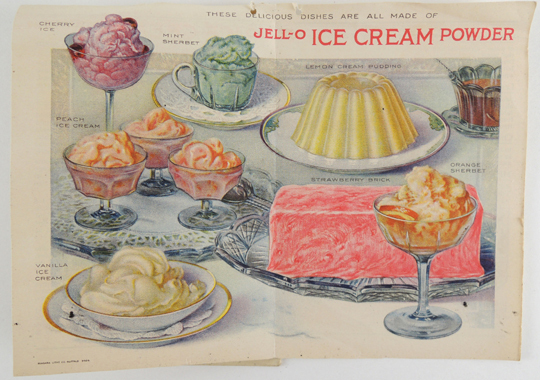 Another Jell-O pamphlet, this one from 1920. I want to frame this center spread. The “Strawberry Brick” is giving me pause, however. I save the best for last. 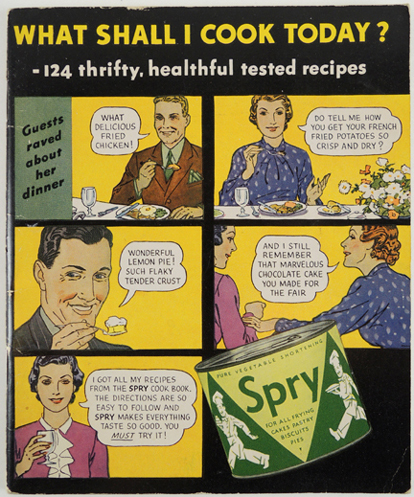 This is a pamphlet for Spry, a product that is still going strong! The hilarity continues on the back. This is my favorite panel. 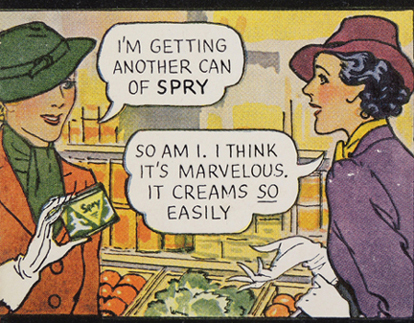 Because I don’t know about you, but I do all my grocery shopping in a hat, lipstick, and white gloves. 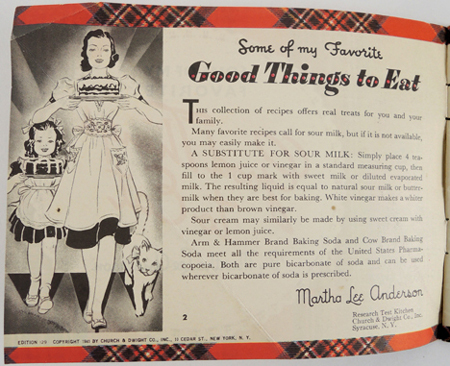 This entry was posted in More Connections and tagged 9 Ways to Spark Family Favorites, advertisment, art, booklet, cookbook, During Scalomatic Pressure Cooker, Many Reasons for Jell-O, Meat in the Meal for Health Defense, New Cake Secrets, Ninety-Nine Tempting Pineapple Treats, pamphlet, rare, recipe, retro, Some of My Favorite Things to Eat, special collections, The Greater Jell-O Recipe Book, vintage, What Shall I Cook Today? by Dana Sheridan. Bookmark the permalink.